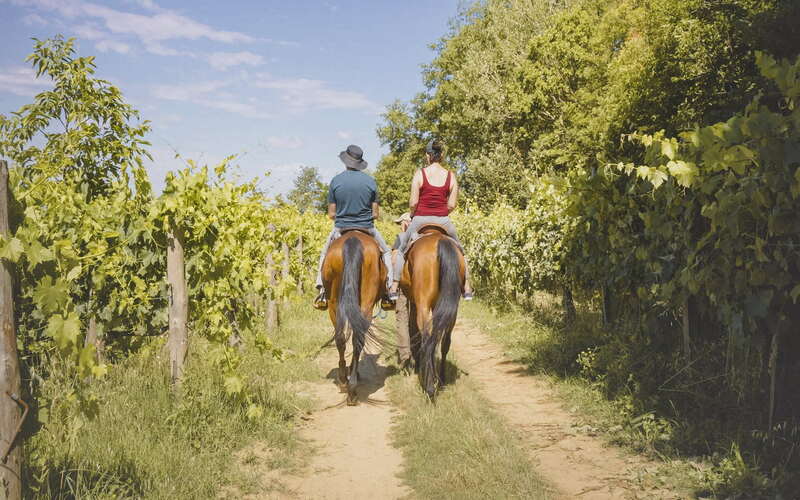 A horseback riding to slowly explore, in the open air, the most beautiful and scenic places in Valdichiana. An expert guide will accompany you through the countryside paths, running along vineyards and cultivated fields on a ring route suitable for everybody, even beginners. During this ride, you will hear the legends and curiosities related to this territory and the characters who have lived here. 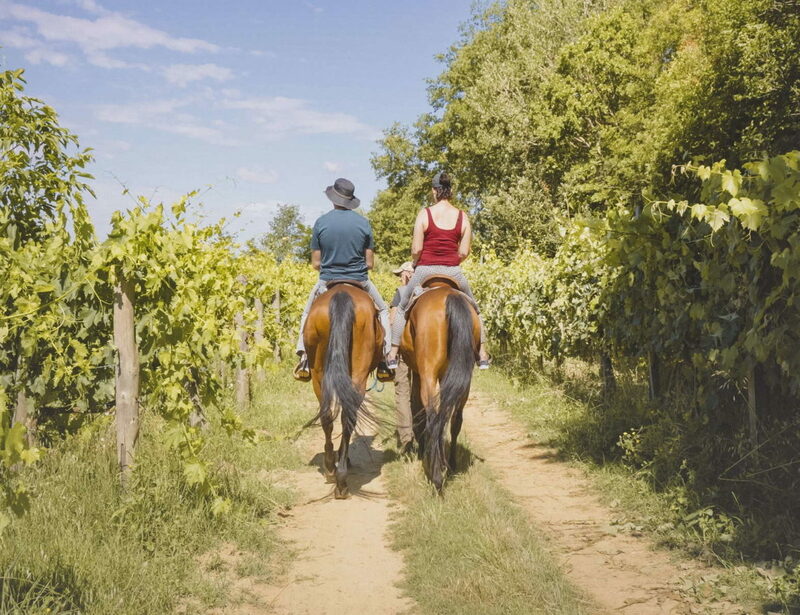 At the end of the horseback riding, you will enjoy a healthy picnic featuring excellent local products and fresh seasonal snacks at the farm where you started the tour. This activity can also be organized for children who approach the equestrian world for the first time.